Reinvent bike parking and facility exteriors with the customized stylings of the Type Rider™ bike rack. 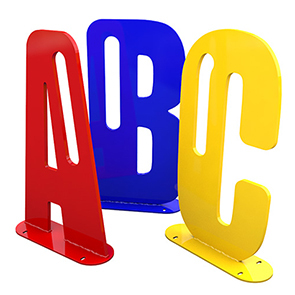 Fun and functional, Type Rider™ utilizes letters and symbols to create a unique bike rack parking experience with a custom message. Constructed with laser cut 5/8" steel plating and finished in a durable powder-coat, the Type Rider™ provides secure bike parking and a lasting first impression. 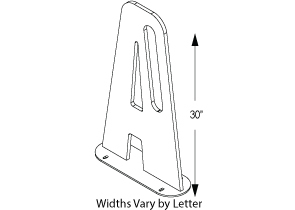 Each letter is U-Lock compatible and capable of securing up to 2 bicycles.